Measurement of water quality in coastal regions and estuaries is critical in the characterization of hypoxic ‘dead zones’ as a result of nutrient loading and algal blooms in the water bodies. Sediment loading analysis through turbidity measurement is also important for coastal trend identification and modeling. 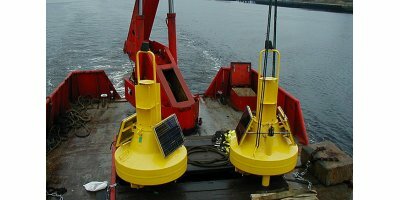 Hydrolab and Sea-bird Coastal offer a variety of multiparameter water quality instrumentation and nutrient sensors for long-term coastal applications. By OTT HydroMet based in Kempten, GERMANY. The recorded death of fish in the river that flows out of the industrial zone of Scarlino has created the need of the installation of a biological alarm system. The decision was made to work with an automatic system, iTOXcontrol created by microLAN-The Netherlands represented in Italy by Ecotox Lds, which uses marine bacteria. The system compares the values of the light emission from these organisms at the entrance and exit of the canal, generating alarms in the presence of toxic substances. Surface water monitoring as an application covers many different environments and can require different equipment depending on the monitoring requirements. Possible environments include lakes, rivers and coastal waters where the monitoring may be focused on water quality or water level measurement. Aquaread offer instruments suitable for each of these environments and have a wide range of possibilities depending on the kind of data you wish to collect.